The world doesn't lack inspirational stories of people who overcame their disabilities and dont let that become a hindrance in their lives. It's about struggle and your will to fight come what may. What makes a difference is all about your attitude. 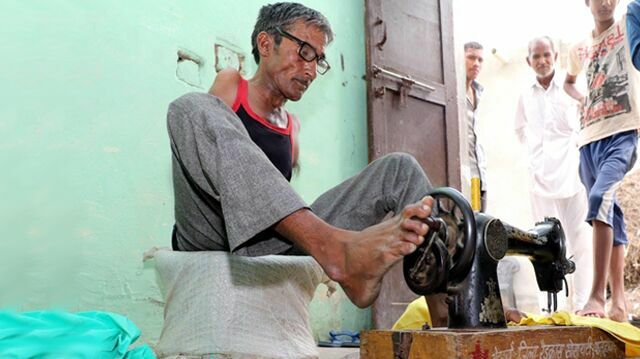 This story will inspire millions, a 45-year-old man from Haryana, who was born without hands developed the skill of sewing beautiful clothes with his feet. From eating, bathing, brushing teeth, shaving to even lighting his 'beedi', Madan Lal does it all using his feet. While Madan Lal's family always supported, society ostracised him. In childhood he was denied admission in any school due to his disability. But this did not stopped him. He went to a tailor one day and told him to teach tailoring. 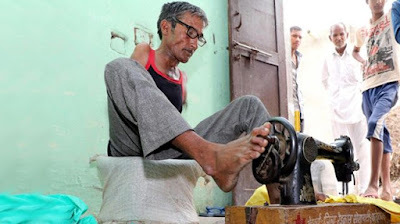 But he laughed on him that when you dont have hands how will you stitch. But his determination did not stopped him and he learned tailoring within few days. 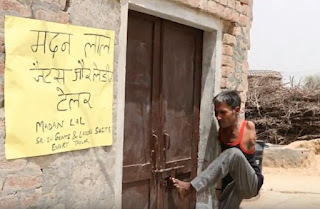 He has his own shop now in his village. Initially, people hesitated to give their clothes to him. They would say, he stitches with legs he will ruin our clothes. But slowly he gained their confidence and now Its been 20 years and he is working as a tailor. His inspirational life story is now being shared by international publications. 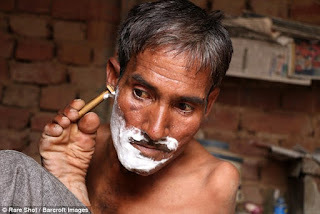 In a world, where people don’t stop complaining about their fate and life, Madan is an inspiration for all of us!! Hats of to this mans spirit!! !